¡Feliz Año Nuevo! 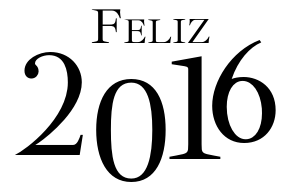 published on 01/01/2016 Read more posts by the author of ¡Feliz Año Nuevo!, tintomaquia1 comentario en ¡Feliz Año Nuevo! This site is known as a stroll-by for all the info you wanted about this and didn’t know who to ask. Glimpse here, and you’ll positively uncover it.